Urban life and the future: What can Norway teach us about modern, sustainable living? In 2019, around 55% of the global population will live in cities or towns. That figure will rise to over two-thirds by 2050, with the overall world population growing by 2.5 billion, according to the United Nations. Combine this prediction with ongoing evidence of and forecasts of climate change with significant and drastic results and it becomes clear that urban planning and the built environment is an area of utmost importance to the future of humanity. Is the current model of western urban growth the only option? Or can new ideas, policies and practices of sustainable architecture help us and future generations? 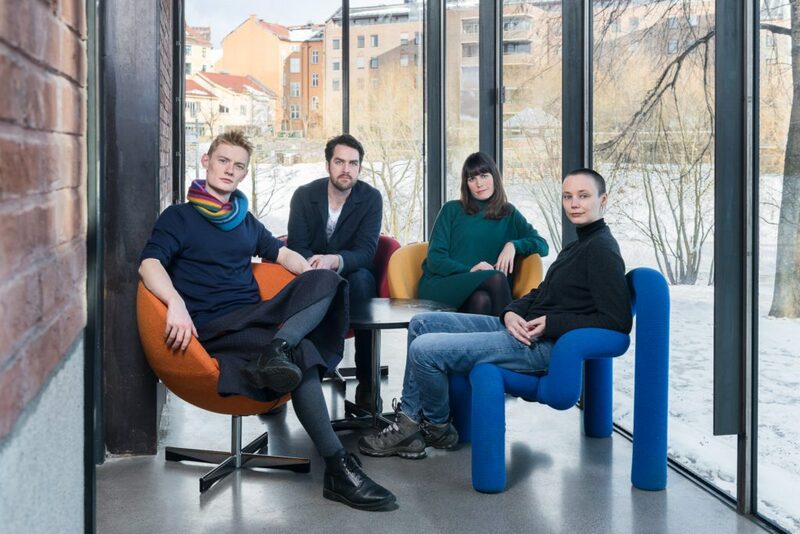 2019 sees the return of the Oslo Architecture Triennale (OAT) and this year saw an open call to curators. The winning team is made up of transdisciplinary architecture and engineering practice Interrobang, along with critic Phineas Harper and urban geographer Cecilie Sachs Olsen. Their proposal, initially called Common Futures, is based on re-assessing the concept of use of resources, consumption in architecture in industrialised societies. “We’re all a bit critical of the triennale and biennale culture which tends to be this shoulder clap exercise where architects come and show their latest, greatest work and drink some prosecco and mingle,” Sachs Olsen says. “We liked the call for this triennale because it has the very explicitly political aim to really think about what could be the role of architecture and urban planning for the greater good of society,” she adds. Their entry centred around the concept of degrowth, a movement or concept that challenges the idea that economic growth is a universal good and should be the basis for everything we do in society. Instead, degrowth is focused on human and ecological flourishing and wellbeing as well as producing and consuming less in order to live within our planetary boundaries. “It’s important to say it’s not this idea of less of the same. We’re not talking about austerity for example, we’re actually talking about this completely different way of organising society and it’s a different way of organising ourselves,” Sachs Olsen says. As part of the 2019 OAT, a conference will run in London at the end of January. 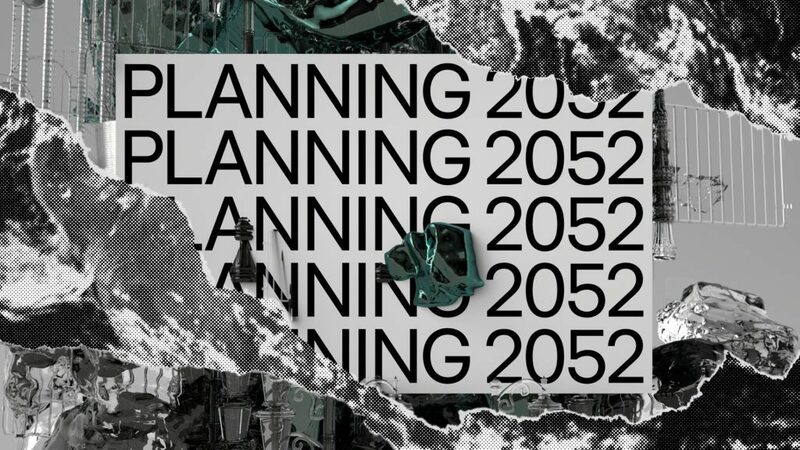 Entitled Planning 2052, investigating the future of planning and how it may contribute to the state of human and ecological flourishing that the degrowth movement strives for. The conference lends its name from the book 2052 by Norwegian climate change scientist Jørgen Randers – the keynote speaker of Planning 2052. In 1972 Randers was a co-author of The Limits to Growth, a report commissioned by the Club of Rome with the following stark conclusions. With no changes to historical growth trends, the limits to growth on a global level would become evident by the mid 21st century and would precede a massive and sudden decline in population and industrial capacity. But by limiting growth, the result could be sustainable ecological and economic stability. Perhaps frustrated with how little things had changed in the following decades, Randers published another report in 2012, 2052: A global forecast for the next 40 years. Again, the outlook was bleak but came with the caveats that behavioural changes could stop global catastrophe. The outlook of the conference, and the OAT, is one of positivity, though, not doom-mongering, Sachs Olsen says. “We all know where we’re heading. We want the conference to be a positive thing to actually inspire change and not to tell us how bleak the situation is. This kind of scaremongering leaves people passive because they get the idea that there’s nothing that can be done and that we’re facing this kind of inevitable disaster,” she says. For successful and innovative examples of the principles Sachs Olsen and the OAT curatorial team espouse, hers and Randers’ homeland is a pretty good place to start, in fact. And indeed, the capital city itself, Oslo. 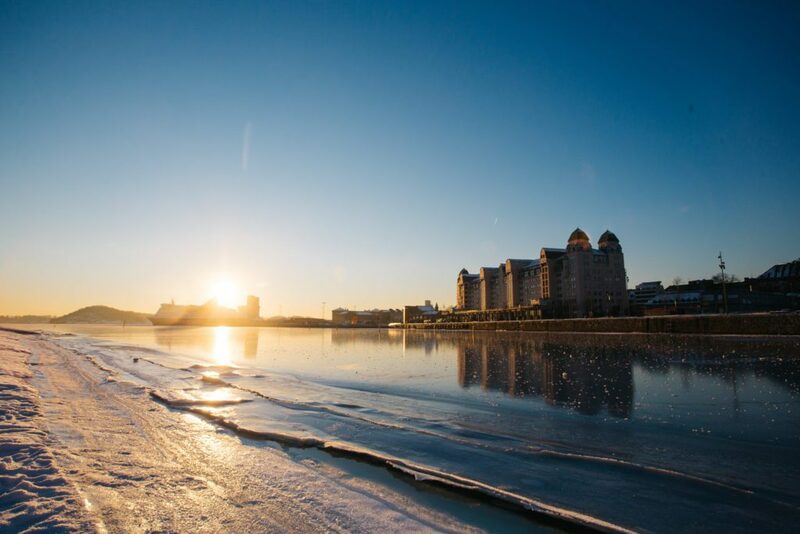 Oslo is fast-changing and is one of the fastest-growing cities in Europe. There is rapid development of the ‘fjord city’ at Bjørvika, a reclaiming of a former industrial harbour. Soon the area, with the modernist Opera House as its centrepiece, will be home to the new Munch museum and public library, becoming the city’s new focal point. In 2019 Oslo was also named the Green Capital of Europe under the banner of “city for everyone, putting people first”. The awarding jury praised Oslo for giving its citizens an active role in the environmental health of the city: for things like a litter reporting smartphone app and an open climate budget with strong accountability for what is being spent where. How has it achieved this, though? Naturally, there are a few factors at play which make the possibility of such a green city possible. Being a relatively small city in a wealthy country and the natural resources available is an advantage. Perhaps the biggest driving force, though, has come from a change in approach from government and the authorities in the last decade or so. Oliver Lowenstein, who runs Fourth Door Review , a green cultural review magazine, believes there has been a “phase change” in how serious projects of urban sustainability have been taken. “I think policy has been influencing a whole set of programs and research in universities where funding can be sourced. Partially as a result there have been a slew of projects where urbanism and sustainability have converged. One can find now examples in Oslo in Trondheim and other cities where you can see that convergence,” he says. Sachs Olsen agrees: “I think they [Oslo City Council] are really onto something and trying hard. I know now a lot of cities in Europe are looking to Norway now exactly because of it,” she says. There are numerous broader examples of this in Oslo and the surrounding area, such as the restoration of its waterways and the aims to become carbon neutral by 2050. The banning of cars in the city centre and the fact that half of all new cars sold in Oslo are now electric. Ruter, responsible for public transport, has targeted making all forms of its transport emission free by 2028. Then, at the more local level, you have the introduction urban agriculture schemes like those at Losæter and by art/architecture research group 0047, who have repurposed and old city building as a creative hub, Kreativt Naboskap, which intends to grow its own food and house a microbrewery. Plans are also in place for Oslo Airport City (OAC), a settlement next to Gardermoen Airport, which will be powered by self-produced energy and served by driverless cars. Already the terminal itself is a fine example of green architecture – snow collected in a reservoir in winter helps cool the building in the summer – but the OAC aims to be the world’s “first energy positive airport city”. 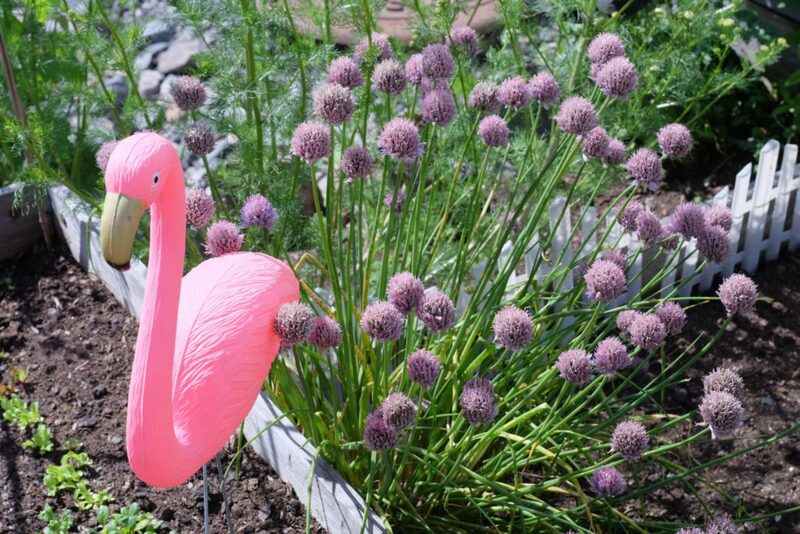 As much as Oslo serves as a beacon for the rest of Norway, the Nordic region and perhaps even Europe, some of the most interesting smaller-scale projects of the last decade or so have been in Trondheim, Norway’s third city. The fact that it is a “smaller brother” to Oslo, is a help to Trondheim when it comes to urban planning and architecture, Lowenstein says. “All the traits and characteristics of a capital city that emanate from Oslo are not present in Trondheim. The inverse of that means that not feeling that one is at the centre of things means that amongst the young architects and young artists there is an energy and have been doing things that they want to do without the pressure of it being number one,” he says. Svartlamon, a formerly neglected area now home to artists, bohemians, musicians and students has numerous examples of low energy, sustainable and affordable housing. Many of these projects appeared after the area and residents successfully fought against the area’s redevelopment. “As a result of that [struggle] a series of experimental buildings have emerged. I like that model of it where people are doing their own type of developing at a community level,” Lowenstein says. 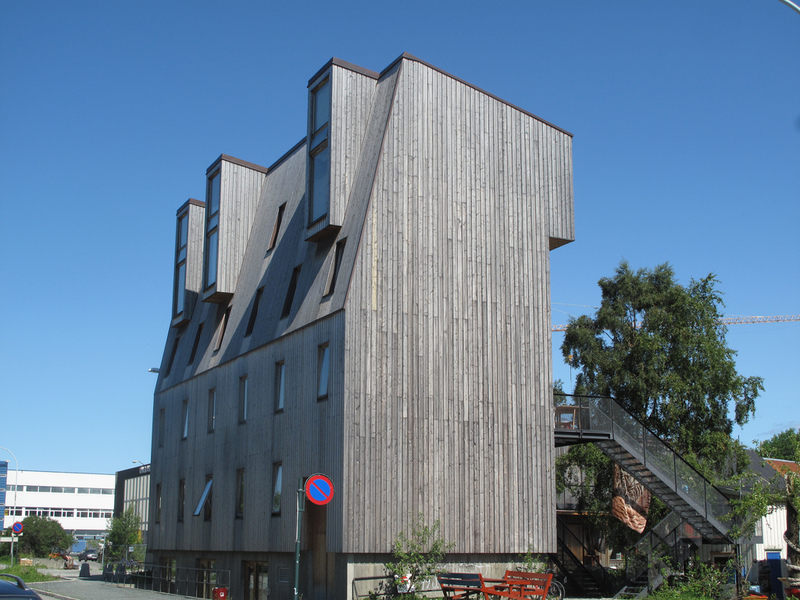 The most striking project in Svartlamon is undoubtedly Brendeland and Kristoffersen’s 2005 six-storey high, wooden-built award-winning Nyhuset – or ‘the new house’, which utilises a low-energy and sustainable design. 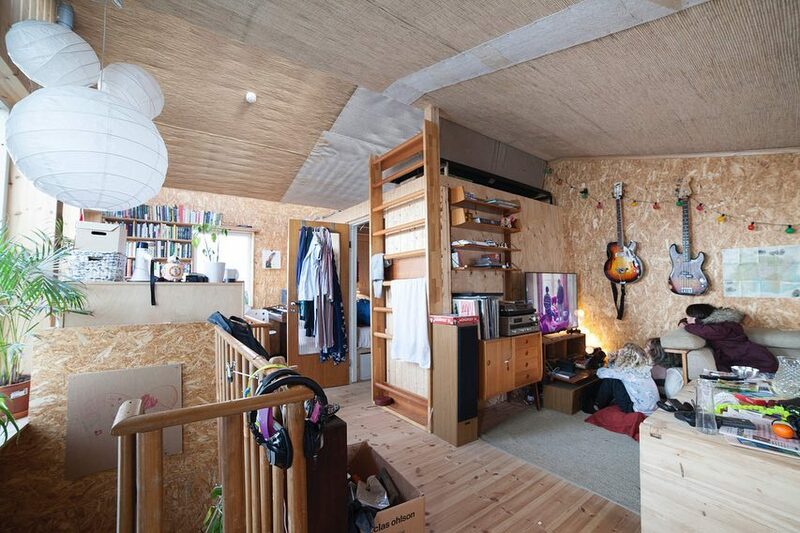 A student and affordable housing block, Nyhuset was one of the first projects that used cross laminated timber (CLT). CLT is a building material with a much lower carbon footprint than steel or concrete. It is also much quicker to build with, lighter and produces less on-site waste. In short, the energy used in construction is less. Lowenstein believes you can see a clear line of influence from Brendeland & Kristoffersen’s work here to other projects in Norway, such as the Wood City at the Stavanger City of Culture in 2009. Since then CLT’s uptake has been accelerating, with various Norwegian architecture studios focusing on CLT and other engineered timber. Reiulf Ramstad Arkitekter and Danish CF Møller are currently working on Fjordporten, a mixed-use project around the transit interchange which includes Oslo’s first CLT-concrete high rise, planned for 31 storeys. These are projects demonstrating youthful Norwegian energies looking at how to integrate sustainability into city living, density and multi-use mixed workspaces, Lowenstein says. 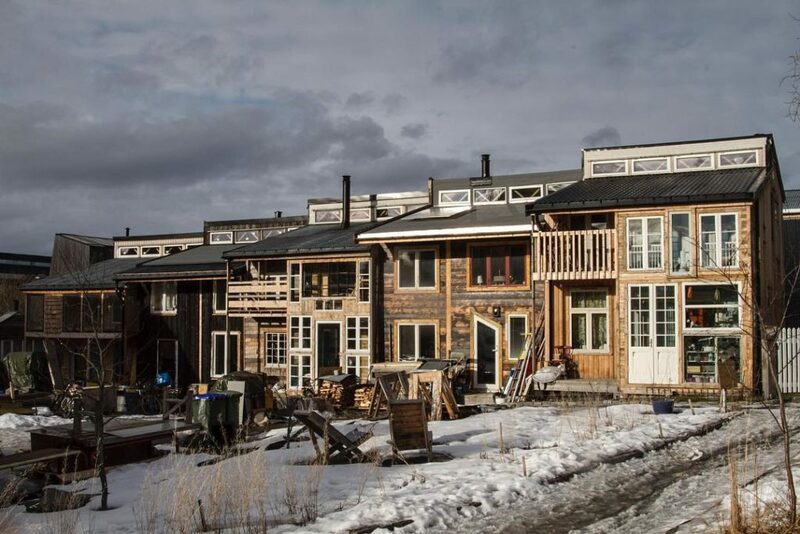 Another project cited as a comparable expression of this new energy can be found at Svartlamon again, in a self-build project by Nøysom Arkitkter. “Nøysom” means frugal and it was the aim of Master’s students Trygve Ohren, Haakon Haanes and Cathrine Johansen Rønningen to create housing that makes the most of what is available through creativity, utilising the adaptability of sustainable self-build projects that can change as a family or person’s needs change over time. Their four-year project on disused land in Svartlamon was to design five compact self-built (to be built by their occupants) row houses. They are all naturally ventilated, easy to assembled and served by a communal house, home to facilities for washing, central heating and storage in the middle of the five plots. However, as intriguing and successful as these smaller projects are, is it even worth considering scaling them up? Although Lowenstein thinks it would be difficult to replicate them on a large scale, there is no reason we cannot learn from them. “It’s still an interesting model and it could be, for instance, integrated into planning in the context of other cities such as Oslo and the uptake of urban sustainability, food production and mixed-used live work experiments there,” Lowenstein says. Sachs Olsen agrees. Those looking to simply transport successful urban planning from one city to another miss the point. Context is king. “I think policies always need to contextual but it also comes to urban planning, particularly in the west we have this idea that our form of development is the right one,” she says. But, there should be hope and optimism, both inside and outside of Norway. Norway can serve as an example. If specific practices cannot be directly transported, outlook can. Although there are challenges, if the political will is there and if changes happen throughout society, from individuals to groups to governments, there is a chance to shift where we are heading.